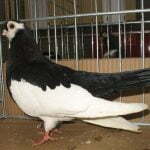 The Bavarian Cropper – also known by names: Boulant de Bavière, Bayrischer Kröpfer, Gozzuto di Baviera, Баварский дутыш – is a variety developed in Bavaria (Germany) since 1960, which is a creation of Karl Zausinger in Oberhatzkofen. 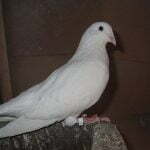 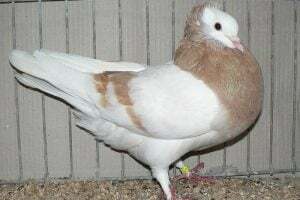 This variety is obtained as a result of crosses from Pomeranian Cropper, English Pouter and Bohemian. 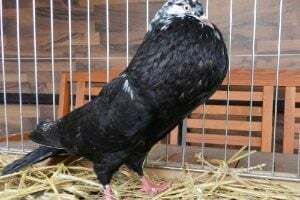 Medium-sized (or small) with elegant, erect appearance with legs that are relatively long and filled with very heavy feathers (affecting the size of the ring-foot). 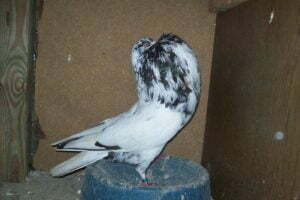 Body is smaller and slender than Reversewing Cropper varieties. 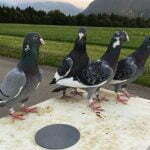 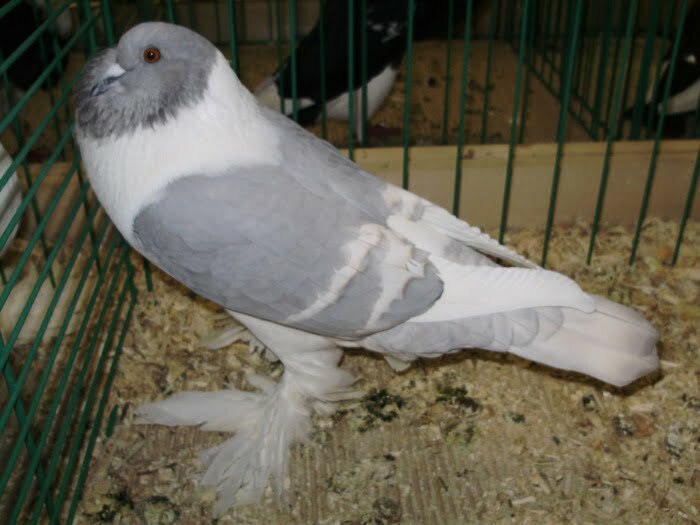 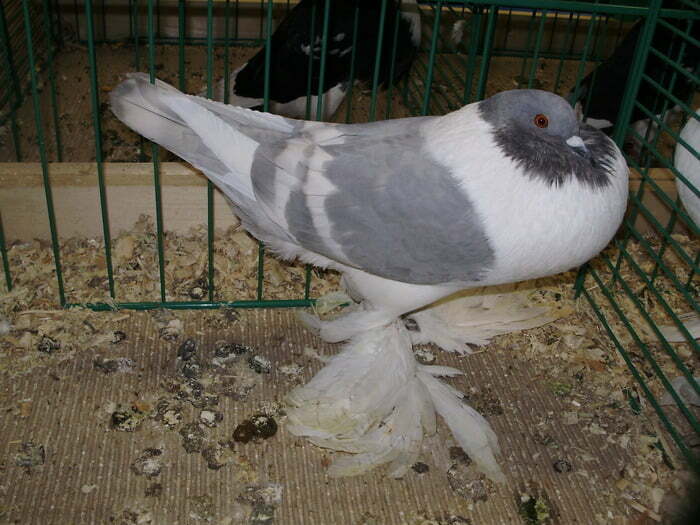 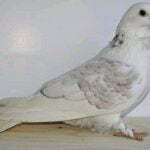 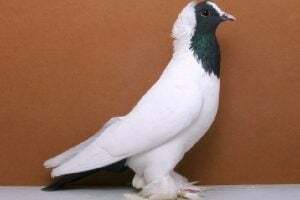 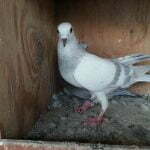 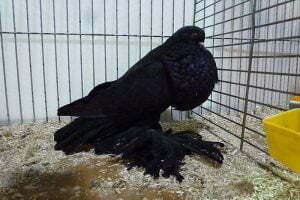 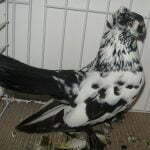 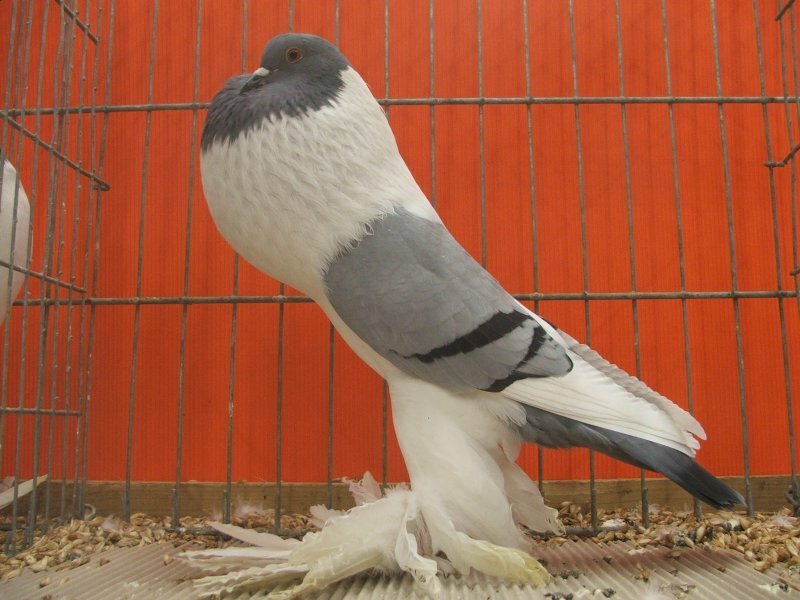 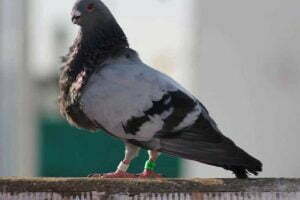 Officially, the German National Pigeon Association only recognized this variety in 1962.